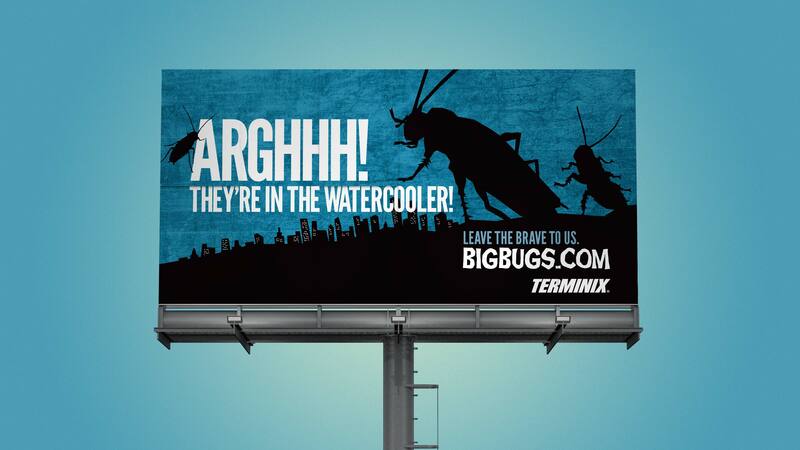 When you get a call from Terminix, you think bugs. 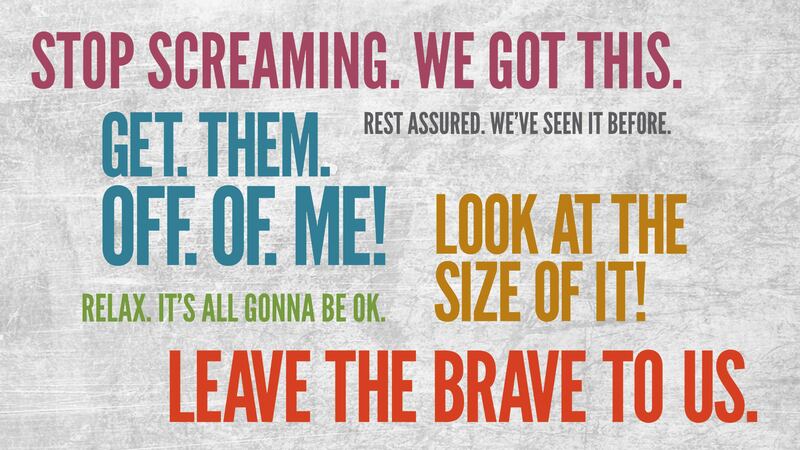 But when they call you to promote the local franchise—AND tell you they’re allowed to create their own area brand presence—well, let’s just say we were itching to get started. 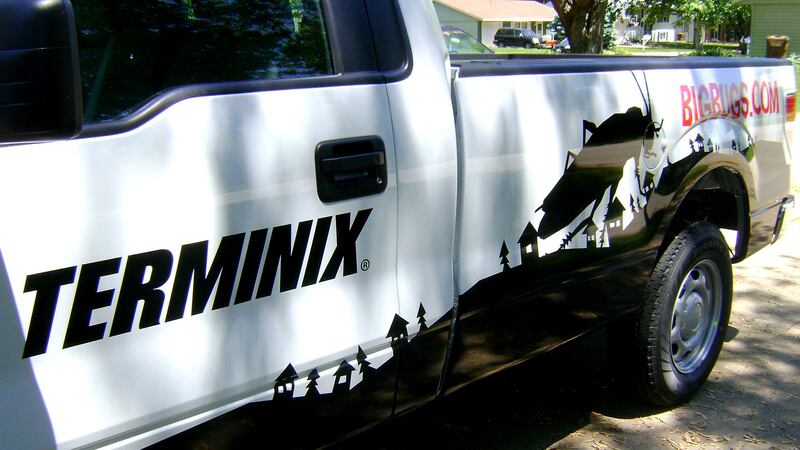 First we developed a bold tagline to position them as the community Terminix heroes: Leave The Brave To Us. 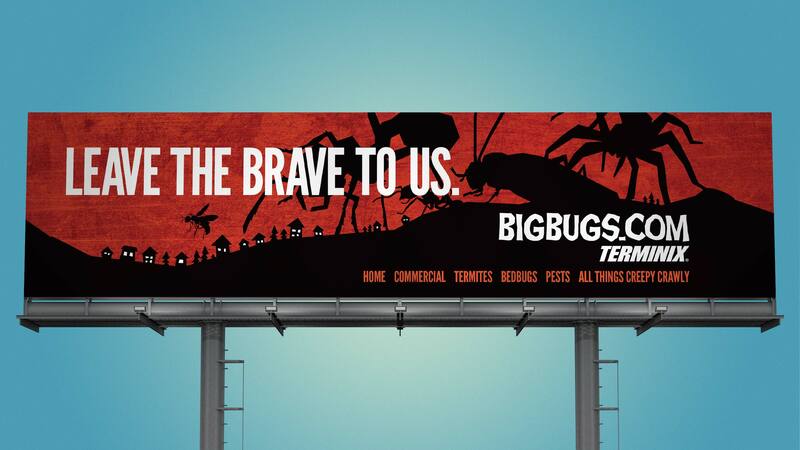 And because their existing url—BigBugs.com—was short, memorable, and to the point, we played it up with a series of ’50s sci-fi inspired billboards and tv spots. 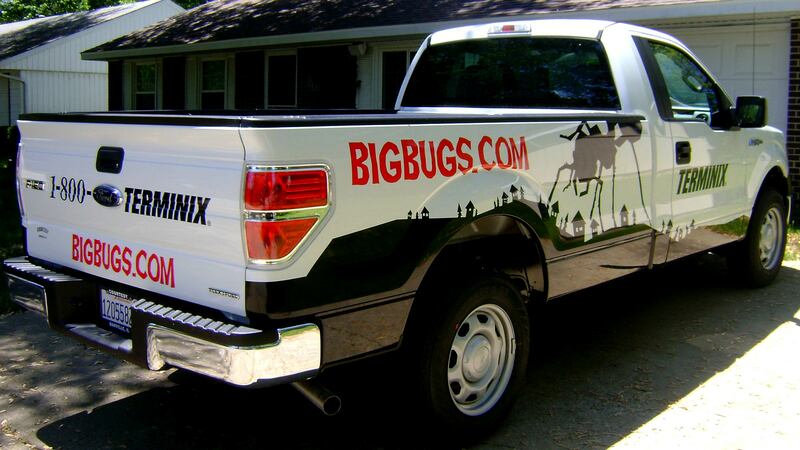 From bed bugs (gross!) 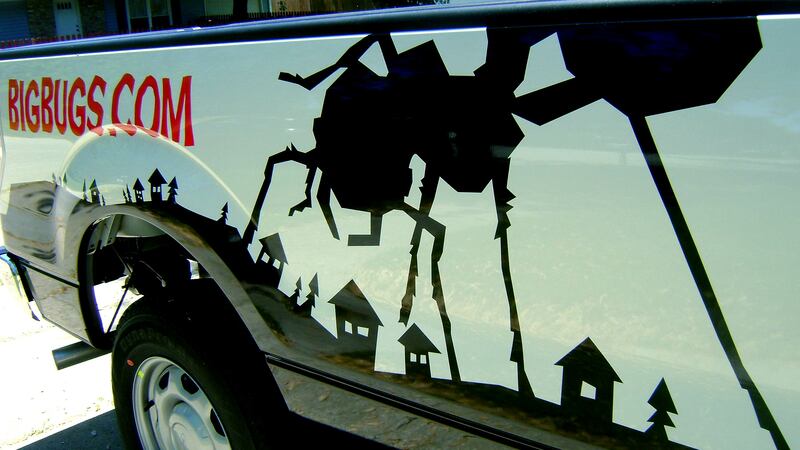 to spiders (yikes!) 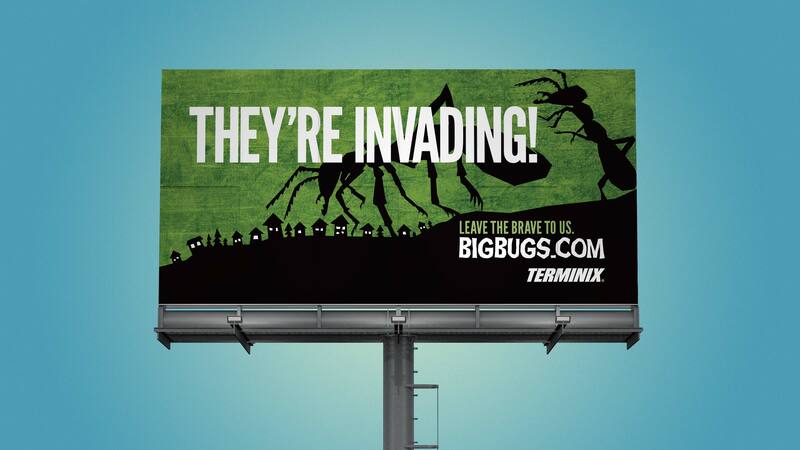 to termites (oh no! 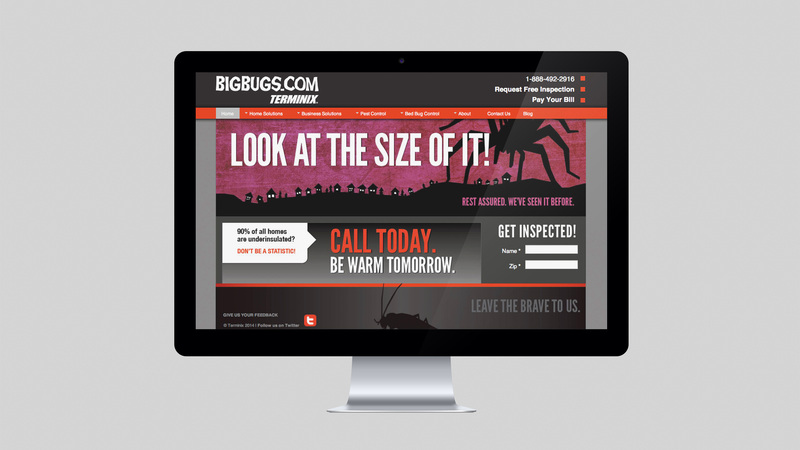 ), their overall brand is just swarming with all things creepy crawly. Which proved to be un-bee-lievably fun to develop.